Check on this unparalleled cannelé flavour signed by 814. A well known Bordeaux pastry with a note of rum and vanilla. This premium liquid portrays the spirit of the 814 range: gourmandism, balance and the relentless search for the very best products. 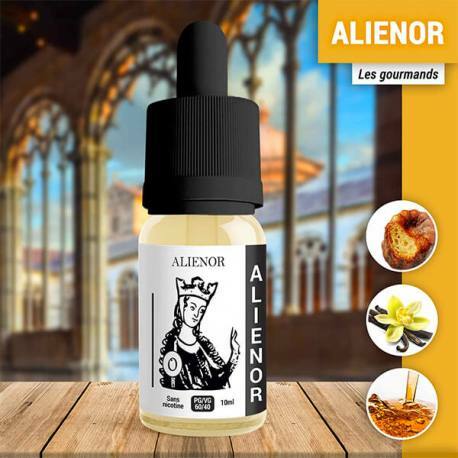 The 814 e-liquids are produced in France. The flavours used are certified to meet food industry standards. They do not contain either diacetyl, or paraben or ambrox. The 814 e-liquid is compatible with all brands and models of electronic cigarettes, cigars and pipes. 14 mg for heavy dependence. For an optimal preservation of the flavours, keep your 814 e-liquid away from the light, in a dry place and at an ambient temperature of around 20°C.